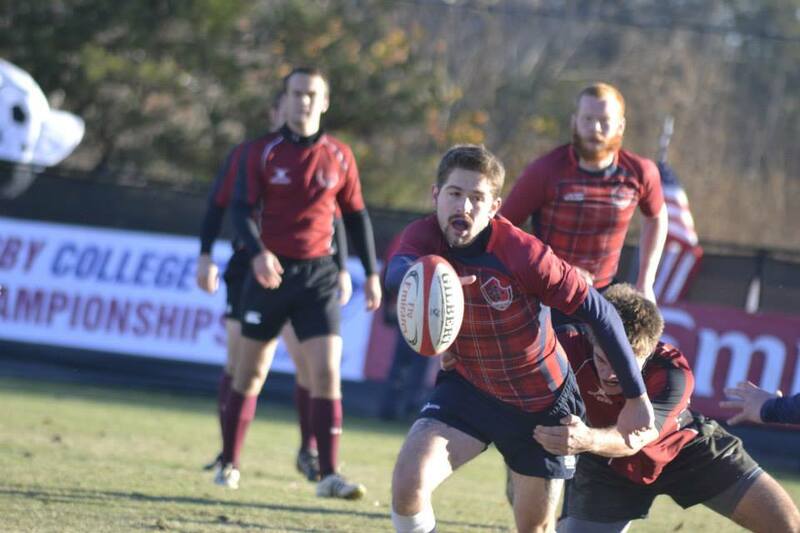 The University of Wisconsin–Stout rugby club team had an outstanding year, placing second in the conference and bringing home the silver medal at nationals. Individual team members Adam Fagerstrom, a senior from Wilmar, Minn.; Nick Binder, a senior from New Berlin, Wis.; and Stetson Smith, a freshman from Hopkins, Minn., also qualified for the National All-Stars rugby team. After finishing the regular season with five wins and only one loss, UW–Stout won their first playoff game as well, advancing the sevens team to nationals in Greensboro, N.C. Sevens refers to the fact that games are played seven on seven instead of the usual 15 on 15 that occurs during the regular season. Club President Ben Jondle, a sophomore from Wales, Wis., explained what the experience of nationals was like. “Going to Nationals for sevens was amazing. The trip down was a huge bonding experience. It was in North Carolina, so we drove halfway the first day and we stayed in Ohio. Then we completed the trip the following day,” Jondle said. “The weather down there was cold, but I feel like that gave us an advantage, being we were one of the few teams from up north. Manny Melendrez, a first-year player, said the team is in their spring season right now. “We will go to tournaments every other weekend and also work on continuing to get better as a team and prepare for the fall, said Melendrez. In a typical practice, the players warm-up, do footwork drills, stretch and then break up into groups of forwards and backs. Each position does specific drills and goes over plays and signals. A big part of the team’s success can be contributed to the leadership of the club. Wikman said that all the players lead by example and spoke very highly about senior captain Damon King of Big Bend, Wis.
“Our captain is truly the epitome of a selfless, humble leader who makes the players around him better simply by setting an example of what is expected from a UW–Stout rugby player,” Wikman said. There are always challenges to overcome on any sports team. Since rugby is a contact sport that is played without padding or protection, injuries are always an issue. Every game, there is at least one player that is sitting on the bench due to an injury. The expectation of injuries to occur allows the team to pull together and make sure every single player on the roster is ready to play if they need to. Another big challenge is not having a coach. King helps to run the team, but Jondle said that having an experienced coach would still be a good thing for the team. Throughout all of the ups and downs of the year, the team is still nationally ranked in the top 10, which is an accomplishment to be proud of.